On a stormy Winter night in February I took a bath and as the tub was draining heard water leaking in the room below the bathroom. I opened the door to see water pouring through the ceiling into our laundry room. With many other issues popping up all over our home, it was clear that we either needed to renovate or move. After a few months of contractors and renovations, it was time to see the final result of our renovations. 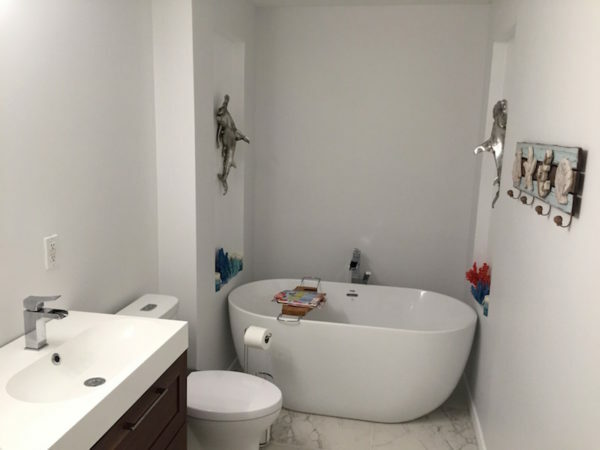 Two beautiful brand new white bathrooms which I hoped would stay looking new forever. Luckily, I found the following tips on keeping the new looking new from Swiffer and Mr. Clean Magic Eraser. When you move into a new house, you have a clean slate or fresh start. After our renovations were complete, I really wanted that feeling in our home. 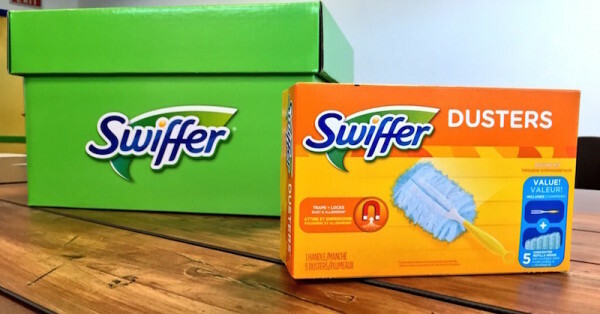 Luckily, Swiffer and Magic Eraser have teamed up with HGTV’s own Jonathan Scott to help home owners find and maintain that clean slate feeling. Check out this video with Jonathan’s own 5 tips for a clean slate when moving into a new home that will also help you find that clean slate feeling after a renovation. First off, don’t be afraid to have some fun with your design. My kids and I are obsessed with Harry Potter so it only made sense to make them a Harry Potter themed bathroom that they could enjoy. 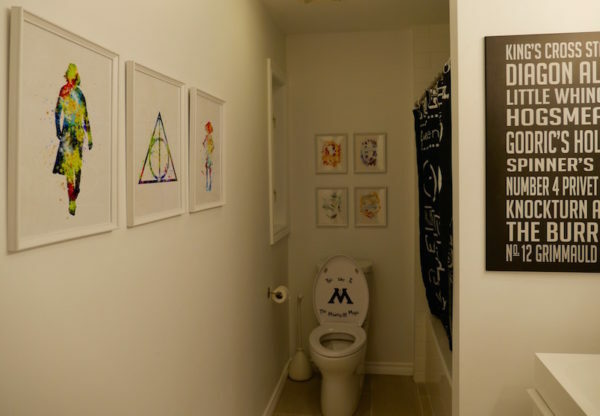 I found plenty of amazing modern Harry Potter fan art on Etsy.com that made the bathroom fun and quirky without taking away from the renovations. Secondly, keep it clean from the get go. Now that I love our new bathrooms, I also tend to clean them more. I have a small space in both bathrooms where I store a Swiffer Sweeper and box of Wet Cloths. I love that the Swiffer Sweeper handle breaks down into smaller pieces so I can hide it away in the bathroom. It takes seconds to assemble it and just mere minutes to easily sweep up the bathroom floors. Thirdly, make sure you know how to clean all the new elements of the bathroom. We installed a large glass door in our master bathroom and within days I realized that the soap scum was going to be an issue. I learned from Jonathan Scott and Mr. Clean that I can use a Magic Eraser Foaming Bath Scrubber to easily wipe up any messes and leave the glass sparkling clean. Now I keep one in my cleaning drawer with my Swiffer and find that wiping the glass down once a week really does the trick! Lastly, make sure to remove all those nasty stickers and ads that come on all your new fixtures and tubs. For the first few days, I was frustrated trying to pull them off and watching the stickers tear and remain affixed to everything from the tub to the toilets. I picked up a Magic Eraser Durable and within an hour had an entirely sticker-less home. It will make your renovation feel more complete and look much better. 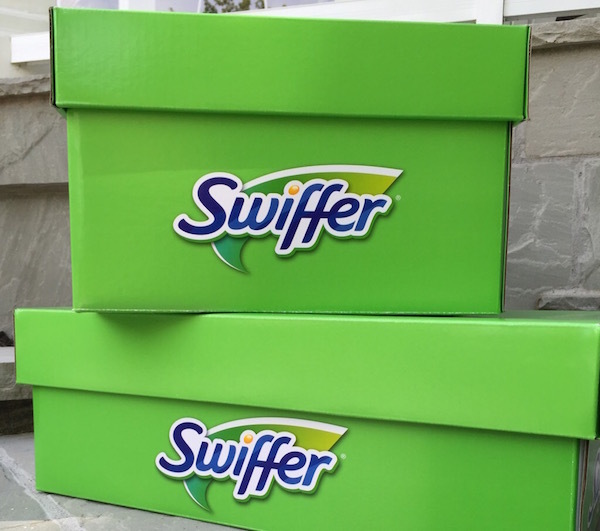 What I love most about my association with Swiffer is that they let me spread the love and share Swiffer products with friends, readers, extended family and neighbours. I was glad to get the opportunity to give the gift of Swiffer to a new family arriving in Canada from Syria. I wish them all the best as they settle down in my hometown of Toronto and embrace their own clean slate.